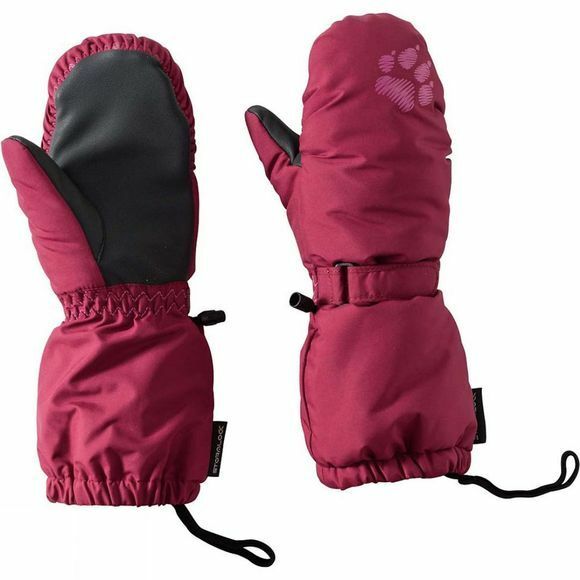 With the Kids Stormlock Paw Mitten from Jack Wolfskin, your hands will stay dry and warm during those snowball fights. The mittens are made of a windproof and water-resistant Stormlock fabric, so they keep out dampness and stop wind chill. And because the fabric is super breathable, moist Air is quickly expelled to the outside, so the wear comfort is superb. The extra-long cuffs prevent Snow ingress.